Building your web as you want. 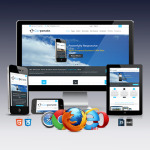 DNNVista can help you make the right platform choices and manage your business relationships. Contact us today on [dnnvista@gmail.com Or support@dnnvista.net] to ask a question or get help with one of our themes. There are 108 items in your search results. Great product with outstanding support from Prokash and DNNVista team. Very helpful team if you have an issue with the theme. After a few years using it, I can still say it's a great product with outstanding support! Thank you. A nice and easy skin to use and they have a super good after-sales service. Technical support is very helpful and responsive. Great product. Lots of features. Highly recommend! Thanks DNNVista Team. DNNVista is one the best vendors on DNN Store. Great theme from a great vendor. Looks good, fast, easy to customize. Very clean and business/corporate. Thank you for a wonderful product. The best skin and the best customer support. I wish all providers had the fantastic support this guys have. I highly recommend this skin for all you needs. Excellent product and superb customer service. I definitely recommend them. DNNVISTA is the most professional DNN developer. Their team works fast and always with perfection. Would recommend them !!! It not only looks great, but the services is outstanding. I had troubles to get it to works, and they responded ASAP and helped me out. Can absolutely only recommend these guys. great theme, easy to use, great documentation and Support! 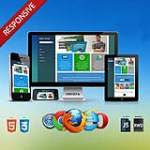 Recently we buy from DNNVista this Theme pack, on one of the Theme's we request a few changes to accomplish our customer request, the Support Team of DNNVista was outstanding, make the changes right away. We highly recommend DNNVista Theme's and Support, CONGRATULATIONS!!!! Excelent theme, worked as a charm. I requested installation and had a couple of questions. Answer was immediate. Great supplier. 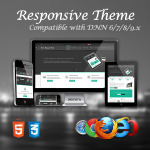 The best theme I have used since I started using DNN, it is very good and responsive, their support is the best. I recommend them. Prokash from the Dnnvista team was awesome. Very prompt response and knowledgeable. Wound definitely recommend this. Great product! My client loved the outcome. Easy to install, modify and adapt. Another Excellent DNNVista Theme. Amazing support. Highly recommended this theme. Thank you. Great product AND great service. They provided speedy response to portal change I requested. I will purchase from them in future! DNNVista is the best developer of skin. DNNVista always provide the fastest installation with no issues. I would absolutely recommend them to everyone. Thanks DNNVISTA ! DNNVISTA has provided me the best support ! My skin was installed with no time. The is a nice and very professional skin. DNNVISTA is the best ! Skin is easy to work with and does everything as advertised... my client loves it.. and the team was extremely helpful when I need support... Thank You! Exactly what I needed. The team was very patient with me as I asked questions that their documentation addressed. Prompt reply and great support! I had this skin about a year now. They look fabulous. 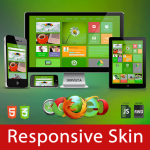 If you ever looking to purchase a clean, elegant and responsive skin, this is the place for you. The support team spent amount of time for you if you're running problems. 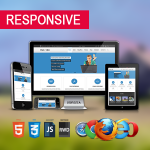 I had an issue on mobile responsive and Prokash took his time and made sure that I got what I want. I had a great experience. I had other skin, but this is the best theme ever. Thank you, Prokash. 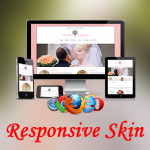 If you ever looking to purchase a clean, elegant and responsive skin, this is the place for you. The support was excellent. They were quick respond and solve any problems regarding on the skin. I have referred people came here for this skin. I am very happy customer. Thanks. Prokash. A very good skin, responsive and lean. The skin import documentation is available for DNN 9. Mike. It's a great DNN8 skin with lots of added functionality. Great skin, many features, loads of shortcodes, easy to deploy, many customizable options & the edit interface is amazing! The developers respond to questions within short time. Great support! Thanks DNNVista Team. I have had this skin module for three to four years and have never had a problem. Because DNN had been updated, I also needed an update on this skin. I called for help from DnnVista and shortly thereafter had the update installed and my site running smoothly again without a single headache. The vendor was very responsive in helping get a few issues resolved when we migrated from DNN7 to DNN8. The Simple theme is very clean, and contains a ton of useful containers. An excellent, multi-purpose theme. The kepler theme is amazing! It's so easy to use. Looks great on all devices. Support is fast and helpful.Would buy from again!! Outstanding skin and support! Great work! My client was very happy. Great product with outstanding support! Highly recommended. Thank you. Good product great and fast support!! Thanks! Great service and support after the sale. Thanks so much! 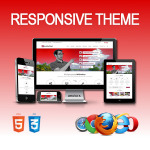 Very sharp, well put together theme with excellent support. Thanks to DNNVista. Nice Theme. Easy to use. Good Support. Thank you. The Skins are Great, but the Customer Service is Better!! They are very prompt and professional. This will be our new skin vendor first choice from now on!!! Excelent Theme, we use it for several web sites, additional support was outstanding, we highly recommend work with this guys. Excellent theme and awesome support. This is an excellent theme that is easy to work with and the service from DNNVista is also excellent. Excellent theme! Easy to use and customize. Looks great on all devices. Support is fast and helpful. I would Recommend to anyone. Thanks! Skin works well. The supplier is friendly and responded with some amendments I needed to make skin work in my application. The theme was great. I would recommend to anyone. More than what I had expected and easy to install. Excellent Theme, more than I was expect, support was on real time, I'm 100% satisfied. If you are looking for a good Theme, THIS IS IT. Very impressed with this product and the quick and friendly support we received. This is an excellent theme that is easy to work with and the service from DNNVista is also excellent. Would definitely recommend it to anybody looking for a great, professional skin. 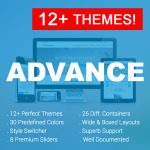 A powerful and flexible theme. Highly suggest it. Great flexibility and well designed theme. Support is fast and friendly. Thanks to dnnvista team. Nicely documented installation & usage instructions. Mobile friendly and modern looking. 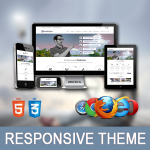 Very professional theme and helpful provider. The support team is super fast, efficient and super friendly. Great Design, easy to use and great support. Thanks! Excellent and beautiful theme. 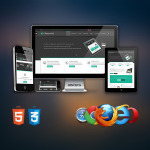 Flexible theme plugin makes customization easy. Very useful theme with lots of layout options. Thanks for this great product. Excellent Skin! It has a bunch of cool features and code for you to get your site up and running in minutes! Excellent Skin! Great End User Time experience. 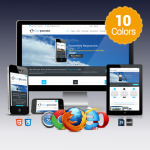 Very Good Theme!, my client is very happy with their website. Thanks. The skin is well designed and easy to work with. Great response time from the company as well! Overall, the skin is a good deal, although many aspects of its features (e.g. accordion and slider) are implemented differently from other skins I've used. Rather than have them as dedicated modules, the author provides HTML coding samples in the docs to place them in HTML modules. For someone not well-versed in HTML (me!) this is scary and the fact that there are errors in the provided coding exacerbate the stress in making some features work. The author is, however, quite responsive and helpful when responding by email, with a somewhat limited command of written English. Great Skin! User friendly and easy to implement new feature on code! Awesome! Excellent design & better documentation than most other vendors. The best theme so far! The response form this company was wonderful. Excellent customer service!!! Great Job! Great!! Easy to use. Super fast & awesome support!! Sent support an email weeks ago and still have not heard back from them. Where is the support? Excellent and beautiful theme. Very useful theme with lots of layout options. Clean CSS and Documentation. Lots of features. Would buy from this vendor again. Thanks. Its Great! Easy to use and very useful. Thanks! DNNVista has created a great skin. 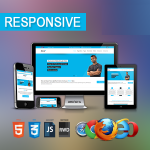 Responsive and very easy to work with. DNNVista provide the best support one can ask for. I purchased the Enterprise version because it make sense to use this beautiful skin. Great job DNNVista !!! 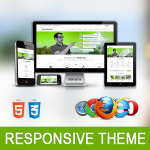 Very nice responsive theme. Works well, good customer service. Thanks! Excellent skin, great price and the support was fast and helpful. Thanks. The quality of work for this theme is great! The best theme so far! The response form this company was wonderful. Great Job! Excellent customer service!!! Excellent design & better documentation than most other vendors. Super fast & awesome support!! Excellent Skin. Clean CSS and Documentation. Lots of features. The support from these guys is amazing! Great skin! Very solid and flexible. 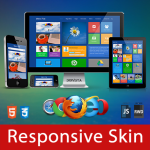 Skin is very easy to implement and support is fast and friendly. This is the best skin you can ask for ! Working with the DNNVista Team is great ! Very Professional and quick to respond ! They installed the skin for me ! Great skin, lots of features and FANTASTIC Support! Great Skin! The support people help me out a bunch!! Recommended!!!! Great skin and support! The response is fast and they fix wherever problem you have in about hours. Awesome provider! It's a great looking skin. The only feature I didn't like was the accordeon. It will work fine if all of the sections have the same size. It doesn't look well if the first section is smaller than the rest because it will fill it up with blank lines. Excellent skin that's very flexible, looks great and comes with very good support. This is the second skin I've purchased from this team. After the review below. Vendor has provided the product as advertised. Install file was sent via email. Everything on the ad is now available. Product received is NOT what is advertised. Example, there is supposed to be a Boxed Skin included but I cannot find it anywhere after the installation. Vendor does not also respond timely. I sent the Vendor an email about this on Monday and today, Saturday, no reply yet. I would give this Vendor a zero star but the lowest I can go is a 1. Outstanding skin and support! Great choice for business!!! Great skin and excellent service! Support was absolutely fantastic in helping me to get the skin.Would definitely recommend buying from DNNVista. This is a wonderful and very flexible skin. And the support from DNNVista is excellent both in response and resolutions. Support is absolutely fantastic in helping me to get the skin to look the way I need, and is very fast to respond to requests.Buying skin from DNNVista highly recommended! I have purchased several DNNVista skins and are happy with all of them. They have also been extremely helpful when I needed support! Thanks!! (review updated) Fantastic for it's value. The skin itself is good, however the documentation is absolutely fantastic. My initial installation of the skin did not include documentation, but their support was outstanding and extremely quick. Within a few days they had fully detailed out exactly how to replicate their skin's demo/preview. Very happy with their support and final product.